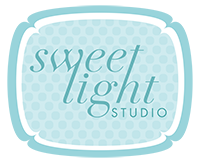 Welcome to Sweet Light Studio! We specialize in Maternity, Newborn, Family and High School Senior Portrait Photography in the Twin Cities Area. Come visit us at our spacious Minneapolis studio - or we will meet you at a unique location of your choice anywhere in the Twin Cities ! We want to help you look and feel your best in pictures, so feel free to browse the site and contact us today!